For other uses, see Little Black Dress (disambiguation). The "little black dress" is considered essential to a complete wardrobe by many women and fashion observers, who believe it a "rule of fashion" that every woman should own a simple, elegant black dress that can be dressed up or down depending on the occasion: for example, worn with a jacket and pumps for daytime business wear or with more ornate jewelry and accessories for evening. Because it is meant to be a staple of the wardrobe for a number of years, the style of the little black dress ideally should be as simple as possible: a short black dress that is too clearly part of a trend would not qualify because it would soon appear dated. Prior to the 1920s black was often reserved for periods of mourning and considered indecent when worn outside such circumstances, such as depicted in John Singer Sargent's painting, Portrait of Madame X. A widow's mourning dress was closely observed at a time when details in fashion conveyed a sophisticated symbolic language. During the Victorian and Edwardian ages, a widow was expected to wear several stages of mourning dress for at least two years. "Deep" or "full" mourning required the woman to wear plain black clothing with absolutely no decoration for the first year and a day of mourning. The second stage lasted nine months and permitted the wearing of black silk. In "ordinary mourning" for three months, the widow could accessorize only with black ribbon, lace, embroidery, or jet jewelry. The final six months of "half-mourning" allowed the bereaved to wear muted or neutral colors: shades and tints of purple were most common. Because of the number of deaths in World War I, plus the many fatalities during the Spanish flu epidemic, it became more common for women to appear in public wearing black. 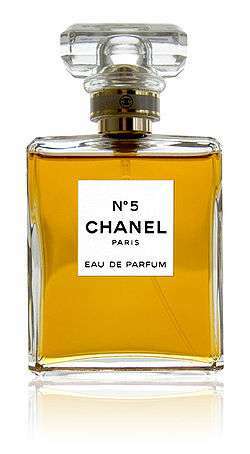 In 1926 Gabrielle "Coco" Chanel published a picture of a short, simple black dress in American Vogue. It was calf-length, straight and decorated only by a few diagonal lines. Vogue called it "Chanel's Ford". Like the Model T, the little black dress was simple and accessible for women of all social classes. Vogue also said that the LBD would become "a sort of uniform for all women of taste". The little black dress continued to be popular through the Great Depression, predominantly through its economy and elegance, albeit with the line lengthened somewhat. Hollywood's influence on fashion in North America helped the little black dress' popularity, but for more practical reasons: as Technicolor films became more common, filmmakers relied on little black dresses because other colors looked distorted on screen and botched the coloring process. During World War II, the style continued in part due to widespread rationing of textiles and in part as a common uniform (accessorized for businesswear) for civilian women entering the workforce. The rise of Dior's "New Look" in the post-war era and the sexual conservatism of the 1950s returned the little black dress to its roots as a uniform and a symbol of the dangerous woman. Hollywood femme fatales and fallen women characters were portrayed often in black halter-style dresses in contrast to the more conservative dresses of housewives or more wholesome Hollywood stars. Synthetic fibres made popular in the 1940s and 1950s broadened the availability and affordability of many designs. The generation gap of the 1960s created a dichotomy in the design of the little black dress. The younger "mod" generation preferred, in general, a miniskirt on their versions of the dress and designers catering to the youth culture continued to push the envelope - shortening the skirt even more, creating cutouts or slits in the skirt or bodice of the dress, using sheer fabrics such as netting or tulle. 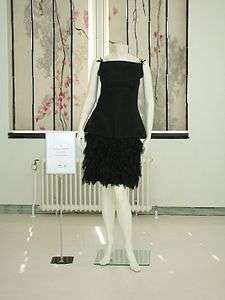 Many other women in the 1960s aspired to simple black sheath dresses similar to that designed by Hubert de Givenchy and worn by actress Audrey Hepburn in the film Breakfast at Tiffany's. The popularity of casual fabrics, especially knits, for dress and business wear during the 1980s brought the little black dress back into vogue. Coupled with the fitness craze, the new designs incorporated details already popular at the time such as broad shoulders or peplums: later in the decade and into the 1990s, simpler designs in a variety of lengths and fullness were popular. The grunge culture of the 1990s saw the combination of the little black dress with both sandals and combat boots, though the dress itself remained simple in cut and fabric. The new glamour of the late 1990s led to new variations of the dress but, like the 1950s and the 1970s, colour re-emerged as a factor in fashion and formalwear and repeatedly shows an aversion to black. The resurgence of body conscious clothing, muted colour schemes, and the reemergence of predominant black, along with the retrospective trends of the 1980s in the late 2000s paved way to the return of interest to the dress. Eurovision Song Contest winner, Lena, sporting a black dress while singing her winning song "Satellite". The black Givenchy dress of Audrey Hepburn as Holly Golightly in Breakfast at Tiffany’s, designed by Hubert de Givenchy, epitomized the standard for wearing little black dresses accessorized with pearls (together called "basic black"), as was frequently seen throughout the early 1960s. The dress set a record in 2006 when it was auctioned for £410,000, six times its original estimate. Betty Boop, a cartoon character based in part on the 1920s' "It Girl" Clara Bow, was drawn wearing a little black dress in her early films, though with Technicolor later, Betty's dress became red. Wallis Simpson, Duchess of Windsor, was known to own several little black dresses and said much in praise of the garments. One quote of the Duchess: "When a little black dress is right, there is nothing else to wear in its place." Edith Piaf, the French folk icon, performed in a black sheath dress throughout her career: for this habit she was nicknamed "little black sparrow". It was thought that the dress helped audiences focus more on Piaf's singing and less on her appearance. In an incident at London's Covent Garden theatre, a director fired the then-obese soprano Deborah Voigt from an opera because she could not fit into a "little black cocktail dress", replacing her with the slimmer Anne Schwanewilms. A number of songs are titled "Little Black Dress", including "Little Black Dress" from the 1981 musical Shock Treatment, which is sung whilst one of the antagonists sews up a little black dress and presents it to the heroine, who wears it in the second half of the film. Gavin Friday performed a song titled "Little Black Dress" for his 1996 album Shag Tobacco. The song was written by Maurice Seezer. The 2006 song "Little Black Dress" is the opening song of Donnie Iris's album, Ellwood City. It was written by Mark Avsec. "Gettin' You Home (The Black Dress Song)" is a 2009 country music song by Chris Young. It became his first #1 hit on the Hot Country Songs chart dated for 24 October 2009. "Tiffany Blews" is the 10th track on Fall Out Boy's 4th studio album, Folie à Deux. The chorus mentions a little black dress, a symbol for classiness. "Little Black Dress" is a song by One Direction included in their third album entitled Midnight Memories. "Little Black Dress" is also a song by Sara Bareilles, the 6th track on 2013's The Blessed Unrest album. In the song, dancing in the dress promotes getting over a relationship. "Little Black Dress" is a song by San Diego-based roots reggae band One Drop, from the 2008 release Mission Blvd. ↑ Steele, Valerie (1988). Paris Fashion: A Cultural History. Oxford University Press. pp. 246–248. ISBN 0-19-504465-7. ↑ styledotcom (2010-08-19). "The LBD Gets Official". Style.com. Retrieved 2013-07-13. ↑ "Katy Perry looks stunning in slinky LBD". Mirror.co.uk. 2010-04-15. Retrieved 2013-07-13. 1 2 3 4 Edelman, Amy Holman (1998). The Little Black Dress. Aurum. ↑ "Audrey Hepburn's Little Black Dress Sells for a Fortune". Hellomagazine.com. 2006-12-06. Retrieved 2013-07-13. ↑ Anthony Tommasini, "With Surgery, Soprano Sheds a Brünnhilde Body," New York Times, March 27, 2005, found at New York Times website. Before and after images included. Accessed May 27, 2009. ↑ Anthony Tommasini, "Second Date With a Little Black Dress," New York Times, June 11, 2008, found at New York Times website. Accessed May 27, 2009. ↑ Vivien Schweitzer, "Music Review: A Slimmed-Down Diva Keeps Her Vocal Heft," New York Times, June 18, 2009, found at New York Times website. Accessed May 27, 2009. ↑ "Deborah Voigt: Off The Scales: Opera Star Talks About Lifelong Battle With Weight," found at "Deborah Voigt: Off The Scales, Opera Star Talks About Lifelong Battle With Weight", CBS News. Retrieved May 29, 2009. Edelman, Amy Holman (1998). The Little Black Dress. Aurum. ISBN 1-85410-604-X. “Sixties Fashions”. June 2, 2006. "The Little Black Dress". Woman’s Hour Radio. BBC. May 2006. "The Myth Of The Little Black Dress". Jane Curtain . The Fashion Culte Magazine. November 2014.